Create you own custom course. Learn How? How Does Agile/Scrum Help You Sleep Better!! Scrum is a proven revolutionary development methodology to quickly respond to vision changes. Scrum being the effective development methodology for software companies, spreads beyond IT to other fields. It is the answer to demotivated employees, frustrated customers, endless unrealistic deadlines and poor quality software. GetProfessional is organizing a two-day Agile/Scrum training, where you will learn the Scrum basics involving real-time scenarios on how to bring the methodology to practice. You will be trained on how to bring improvements for your team and timelines with Scrum to evolve the dynamics from unrealistic to meet the realistic achievements. Are you tired of managing demotivated employees, frustrated customers, endless unrealistic deadlines and poor quality software? Agile/Scrum can help you solve these problems, if done right! Want to learn how to get started on your journey to a peaceful life in your job as a software delivery executive or similar role? Attend the course and learn how!! Practical exercises that you bring right into practice. Learn from other participants and their experiences. Numerous practical tips on how Scrum works and what are the pitfalls to watch out for. 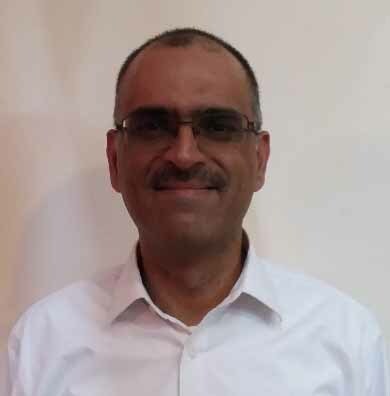 Ansar Muhammad is a technology leader with 23+ years of rich experience spanning call center, insurance, healthcare and consulting industries. Experience of leading large distributed technical teams to deliver enterprise level software solutions. Certified Agile/Scrum practitioner holding Professional Scrum Master (PSM-1) and Project Management Professional (PMP). Exposure to large enterprise software development at leading organizations like TRG, AKU, SIDAT HYDER, etc. Ansar has trained more than 150 people on the techniques of implementing Agile/Scrum at the workplace. Visiting faculty at Mohammad Ali Jinnah University where he teaches “Agile Software Project Management”. Co-author of the book: Large Software Projects – Risking Life and Limb. This is a 16 hour training and will be of 4 days, each 4 hours long covering 1 module per day. 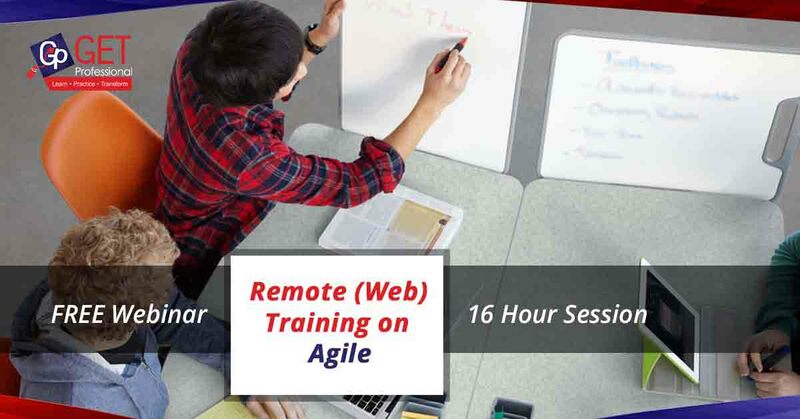 The training will be conducted live over the web and the participants will connect to the session via link provided by GetProfessional. Register now for this training by filling out the form on this link. The fees for each module is Rs. 4,000/-. Once you have filled out the registration form our team will contact you in the next 24 hours to provide payment instructions. GetProfessional offers 3 for the price of 2 referral program. Register with 2 of your friends and your registration will be free of charge. For more information; email at agile@getprofessional.pk or call 0317-2074332. How do you pay fees for the training? Payment will be made out to GetProfessional. The payment will have to be made at least 5 working days before the start date of the training. WHAT DOES AGILE MANIFESTO REALLY MEAN? HOW TO APPLY AGILE PRINCIPLES?